To celebrate the Holiday Season, we have teamed up with beer bloggers and craft beer enthusiasts around the country to host the sixth annual beer advent calendar. This is the season of sharing and we intend to share our love of beer with you. We can’t believe it’s been 6 years already! 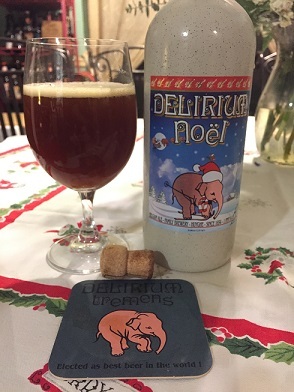 During the 31 days of December, we will be sharing our favorite regional/winter seasonals/holiday beers with the help from our fellow beer enthusiasts. We hope that you tune in every day, to hear our stories and share our holiday cheer. Colour and sight: chestnut amber. A fine, white, creamy and lacing foam. Scent: A complex entity of caramel malt, fruit, spices and the sweetness of the alcohol. Flavour: A strong presence of alcohol, very spicy, slightly bitter. The aftertaste is sweet, spicy and slightly bitter. 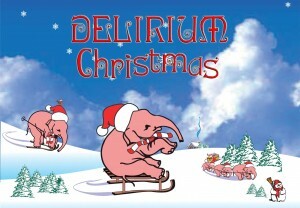 Looking back, this is my favorite time for the 2Beerguys.com blog. Not only because we challenge ourselves to post a blog for every day of the month, but because we re-connect with our friends and family to help spread the good word about beer. We aren’t necessarily posting about the most hoppiest, highest alcohol content, beers aged in wooden barrels previously the homes of bourbon – tequila or rum —- instead, we are sharing beers that have a story and why they are important to us (writer). Beers that were once a classic and always a classic. We hope to inspire you (reader) to try or re-try something that you might have overlooked or forgotten. We are glad that you are joining us on this adventure. Now, on to the beer. Selecting the beer, for the 31 Beers of December is half the fun. Starting with an open mind, I enjoy shopping at multiple stores, looking for my pick – the right pick. 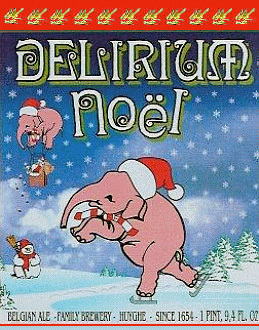 This year, I was inspired by Delirium Noel. 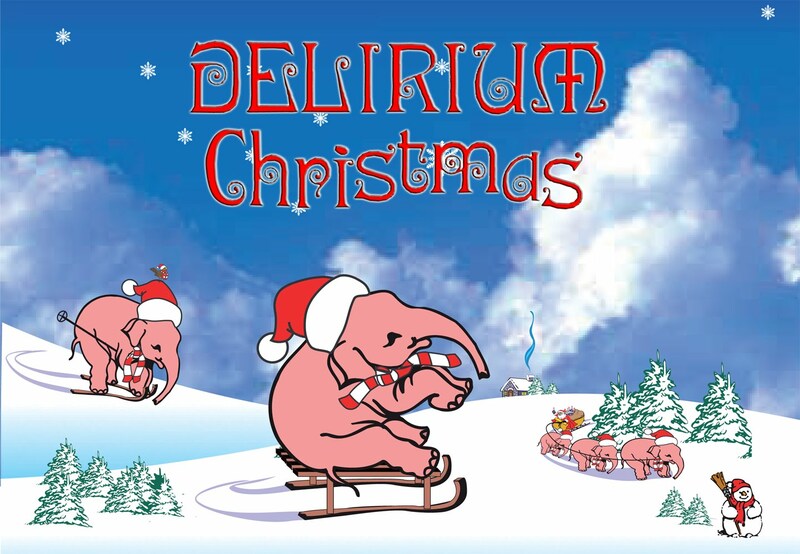 Reminiscent of my trip to Beligium (in the early 2000’s), when I had the opportunity to visit Brewery Huyghe. I happened to be training the European Union in Luxembourg and we took the train to visit some work colleagues in Belgium. 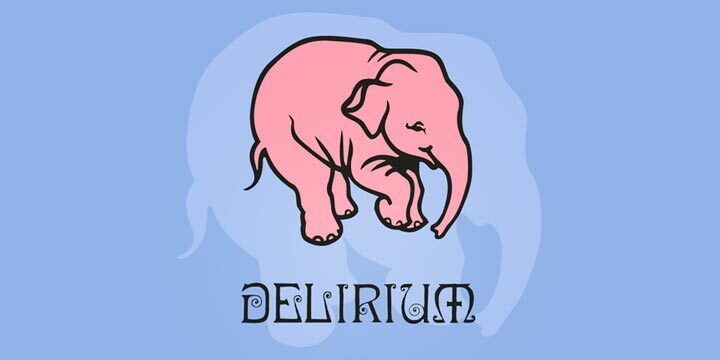 Knowing a little bit about Delirium (the Pink Elephants), I mentioned to my friend, co-worker and host, Ignace that it was pretty cool to be driving by so many cafe’s with the iconic Pink Elephant signs outside. At the time, I wasn’t aware that the brewery owned/operated the cafe’s. Without skipping a beat, Ignace said “Would you like to go there? I have to drive by the brewery on my way to/from work”. Um yeah! I wanted to go there. So, after work, we drove to the brewery and we got a tour of the brewery (in Dutch — thankfully, he translated for me). It was pretty cool to see the brewery and to find out that they were also distributing other products, like soda. Delirium Noel has a fruity banana like aroma, which is very common with a Belgian yeast. The flavor was somewhat sweet, with rich dark fruit flavors. With a medium body, it drank very smooth, with a somewhat slick finish. 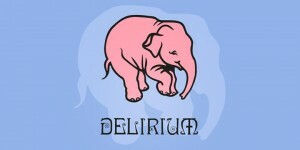 Although it was stronger beer, the alcohol presence was somewhat mellow. 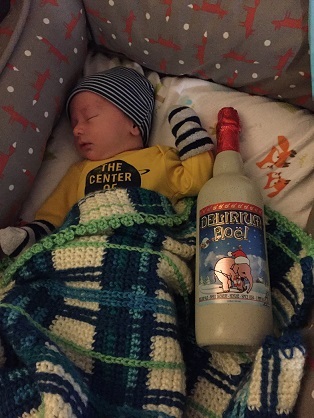 If you’re looking for a classic Belgian beer, than I recommend picking up a bottle. Also, we are proud to share baby Anders with you (see below). He joined us right after Thanksgiving, just in time for holidays. Founded in 2006, 2Beerguys.com has been devoted to spreading their passion of the craft beer world. Originating primarily as craft beer reviewers, they have molded their organization into premier craft beer educators and ambassadors for craft beer industry. Their passion has taken them on the wild ride of home brewing and beer education. 2Beerguys.com believes that you deserve a good beer, visit http://www.2beerguys.com for more information. Huyghe Brewery was founded in 1906 in Belgium by Leon Huyghe in the city of Melle in East Flanders. The site of the brewery has been in operation since 1654. Since the founding of Huyghe, however, the brewery has been modernized and expanded on several occasions. 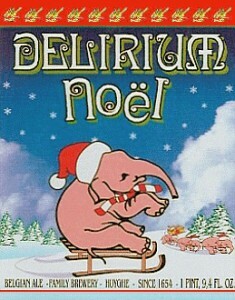 The brewery’s most well-known beer is Delirium. Vandergeeten has been importing and distributing premium food and beverages from Western Europe for more than 20 years. The company is committed to premium quality products and is one of the most active distributors of specialty beer and chocolates in China. With a complete range of services to facilitate and expedite success in the fast-paced and developing Chinese market, Vandergeeten strives to provide the greatest value to their business partners.